Roughy 5% of teenage boys will experience acne with the average condition lasting 8 years. That's a nkong time to be dealing with such a condition that can be frustrating and even debilitating during the influential teenage years. It is important to recognize that acne is not just a cosmetic issue. It can lead to anxiety, lower self-esteem, and even long-term acne scars if not treated properly. The good news is, most teen acne is totally treatable with the right topical skincare routine and some simple lifestyle changes. Here are our dermatologist recommendations and advice for treating acne in teenage boys. A good first step to treating acne is trying to get a better understanding of what is causing it in the first place. For some types of acne (adult acne) the cause and treatments can be a bit more complicated. However, for teenage boys, there are typically 2 culprits; 1. genetic predisposition and 2. hormonal changes and fluctuations during puberty. During puberty in teenage boys, there is an increase in androgen secretion, which affects the sebaceous (oil) glands to make them larger, more active, and ultimately leading to acne breakouts. This is totally normal and in many cases, inevitable...so you should never blame yourself or be ashamed of your acne! 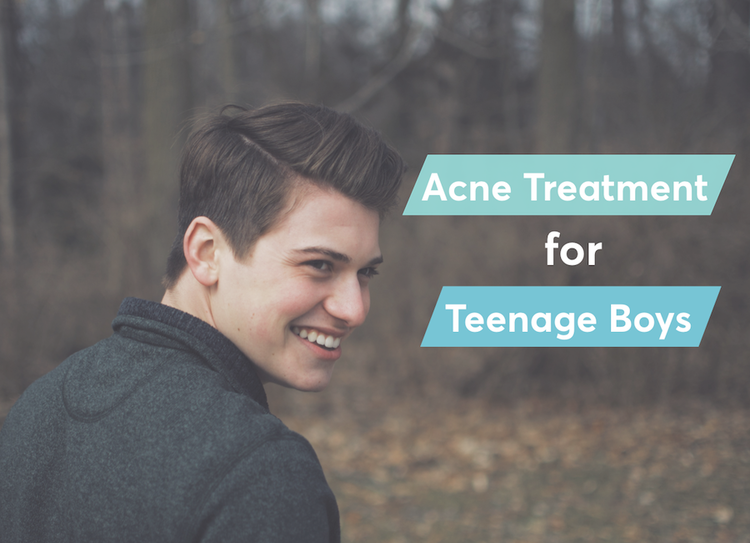 While teenage acne is quite common (especially in boys) and does typically go away with age, it is still very important to treat it as quickly and effectively as possible rather than wait for it to subside (hopefully) on its own. If left untreated, it can seriously disrupt a teen's life—socially, developmentally, and scholastically. There are several treatment options available that have a high rate of efficacy in healing and preventing acne in teenage boys. Follow the steps below and you will find your way to clear skin! What is the best way to treat acne in teenage boys? The best acne treatment for you depends on the severity of your acne. For mild to moderate cases, a good skincare routine with effective topical treatments is usually typically enough to achieve significant (if not complete) clearance of the acne within several months. In cases of severe acne, there is typically an improvement with topical treatments though full clearance may require the addition of an oral medication. Start with a topical acne treatment: There are many different topical skin care products available both OTC (over-the-counter) and subscription that are proven to help treat and prevent acne. Unfortunately, an appointment with a dermatologist can be expensive—as can trial and error with drugstore acne treatments products. A good place to start is with medications that contain benzoyl peroxide and/or salicylic acid, which are provided to fight the acne vulgaris bacteria, unclog pores, and effectively treat acne. Pro Tip: To find the right acne treatment for your unique skin, take the free MDace skin assessment. It will analyze your skin condition and customized an acne treatment plan with personalized products tailored to your acne severity, skin type, and sensitivities. Do not just spot treat: While spot treatments such as drying lotions and pimple patches can be a big help for healing individual blemishes, they will not do anything for preventing future breakouts. It's important to apply a medicated acne treatment to the entire area(s) affected with acne. Avoid the temptation to DIY: Forget the toothpaste pimple drying tricks, rubbing alcohol, and exotic extracts. While plant-based and natural ingredients can be a super helpful addition to your acne treatment system, DIY "hacks" can wreak havoc on your skin. IF you google natural remedies for acne you may find tips using kitchen ingredients like cinnamon, garlic, and lemon juice. While these can sound appealing, they can be extremely irritating and dangerous if applied improperly to the skin. Avoid rashes, breakouts, and chemical burns from undiluted essential oils (even tea tree oil! )...stick to acne treatment ingredients proven to be safe and effective. Be patient: It can take several weeks to see initial improvement with any effective acne treatment and at least 10 to 12 weeks to achieve optimal results. Some may even experience an initial worsening of the acne condition (sometimes referred to as "purging") due to the rapid destruction of acne bacteria. BE patient, power through, and you should see improvement within a few weeks. If after several months of using your routine you do not begin to see improvement, talk to your acne treatment provider (dermatologist or acne treatment brand you're using) to make changes to your routine and/or products. Be consistent: Just purchasing acne treatment products is not enough. You need to use them consistently to see results. If you're finding it difficult to form the habit of your routine, set up reminders or alarms to ensure you don't miss a treatment. If you are using MDacne, you can set up treatment reminders right in the mobile app. You can also leave your products next to your toothbrush to help you remember your morning and evening treatments. Bear through the dryness: Some initial dryness is totally normal and expected with every effective acne treatment, especially if you have sensitive skin. Effective acne treatments will help balance oil production overtime but can cause some over drying at first. If you start to experience excessive dryness or irritation, try using a smaller amount of your acne treatments, applying it less frequently (ex. every other night or every 3 nights) until your skin adjusts to the active ingredients. Then slowly increase the amount and frequency over time. You can also apply more (oil-free) moisturizer to help soothe dry skin and irritation. It can be tempting to scrub your skin and remove dead skin cells from your face but be careful not to irritate the skin further. Mind your hygiene: Excess oil and dirt that builds up throughout the day will not usually cause acne on their own but they can certainly make acne worse. In addition to washing your face twice a day (morning and evening), make sure you're always wearing clean clothes (and hats!) and shower immediately after exercise to remove dirt, sweat, and acne-causing bacteria. Take care of your diet: There has been evidence to show that diet does play a role in the development of acne. Consumption of dairy – especially skim milk – as well as foods with a high glycemic index, may trigger or exacerbate acne breakouts. A common trigger in teenage boys is protein supplements, especially those containing whey protein. Good protein alternatives for acne-prone teens include organic grass-fed meat (beef, meat, fish) and free-range eggs (check this link for more info). Shave carefully: A clean shave is an essential part of acne treatment. If done correctly, shaving can actually help unclog your skin pores and allow your anti-acne treatment creams to penetrate the skin more effectively. When you have acne, it's best to shave every day or every other day. Learn more about how to shave with acne here. More than 50% of people with facial acne would also have body acne. This is especially common in teens who play sports (hello, sweaty equipment). In addition to showering ASAP after sweating, treat your body acne with a medicated cleanser and treatment cream formulated for the back, chest, and shoulders. If your acne is severe, inflamed, or leaving scars, and you do not see significant improvement with the steps above, you may want to consider adding an oral medication to your acne treatment plan. This will require a visit to your physician or dermatologist to assess your skin and issue a prescription for a medication. 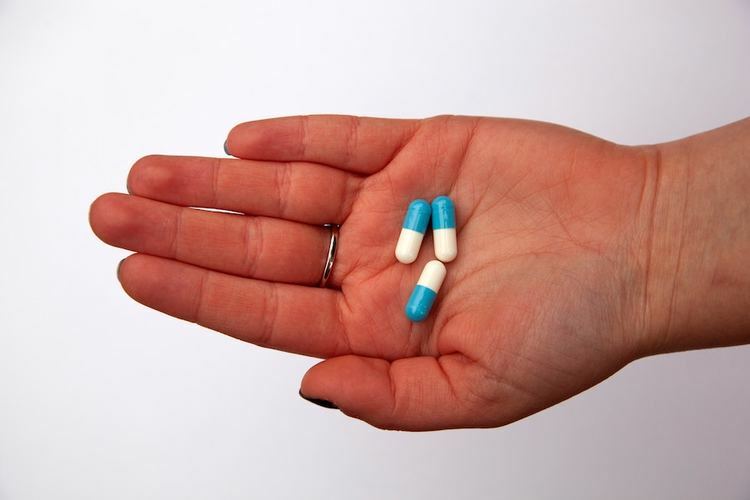 Typically, a dermatologist will start with a round of oral antibiotics. If the skin does not respond adequately to these antibiotics, they may also consider a medication called Accutane, which is commonly considered the most effective acne treatment medication but can be quite intense have severe potential side effects. For some teens boys, acne is a simple nuisance and does not severely affect their lives. That said, acne for many can be painful, detrimental condition that can significantly impact quality of life. If you're struggling with acne, know that you are not alone and that there are solutions for you! Start with the tips above and keep trying until you find something that works. If you're still confused about where to start or would like some support on your clear skin journey take the free MDacne skin assessment and ask a dermatologist on our team any questions you may have.